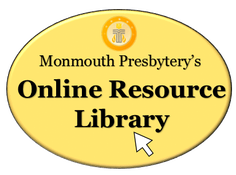 Click here to browse Spiritual Life Resources from our Online Resource Library! The Spiritual Life section includes an abundance of resources for living a rich and spiritual life. The Genesis Center understands that everyone's faith journey is personal and unique, and our resources reflect the vast collection ideas, thoughts, and opinions available from leading minds both online and in print. In addition, there may be some resources with information that is controversial. It is important to note that the blogs and resources we feature on our website do not necessarily represent the views of The Genesis Center or its staff, but are meant to encourage personal exploration and education of the many different and valuable resources available. Kidshealth.org has a lot of great resources for kids and parents including articles on staying safe, growing up, and staying healthy. Resources for families of all ages on communication and faith formation.